Rust-Oleum and Blackfriar’s heat resistant paints are ideal for BBQ protection - as well as stoves, grates and other medium to high heat surfaces over sustained periods. 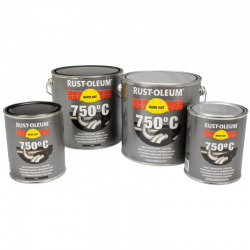 Rust-Oleum offer up to 750°C heat resistance with an aesthetically pleasing black or aluminium finish, and can be applied to new, bright, or shot-blasted steel. It is available as an aerosol too for quick and easy maintenance tasks and repairs. 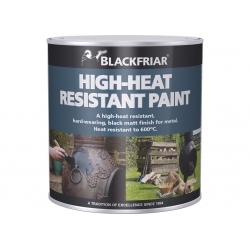 Blackfriar High-Heat Resistant Paint offers up to 600°C protection with an elegant black finish and is considered one of the UK’s leading brands in heat resistant products. Ideal for barbecues and grates, this product can be used for interior and exterior application.